What did people die of, before vaccination? 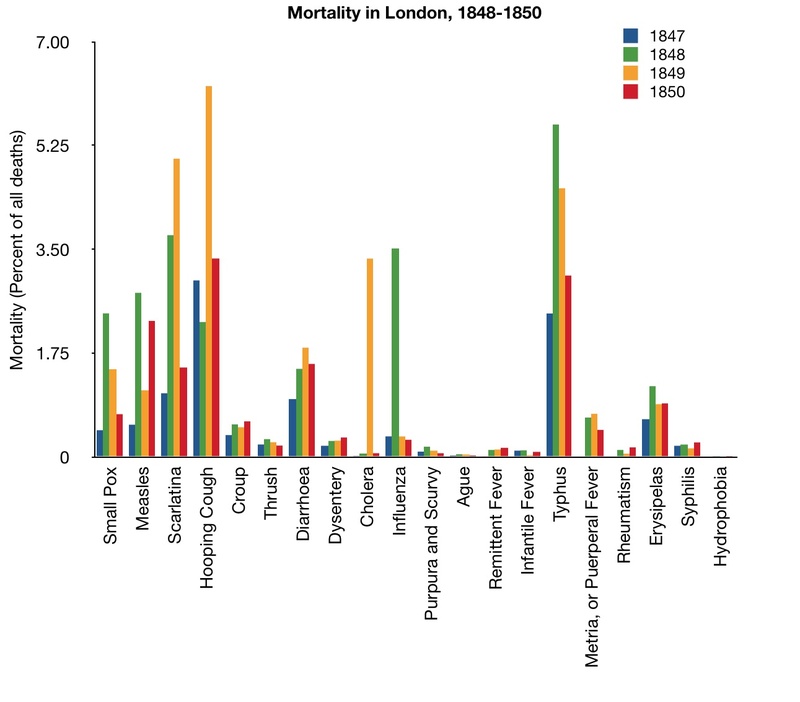 Below is a page from the Journal of the Statistical Society of London, from 1850, showing causes of death in the Metropolis from 1848-1850. For your convenience, I’ve made a chart of the infectious causes. 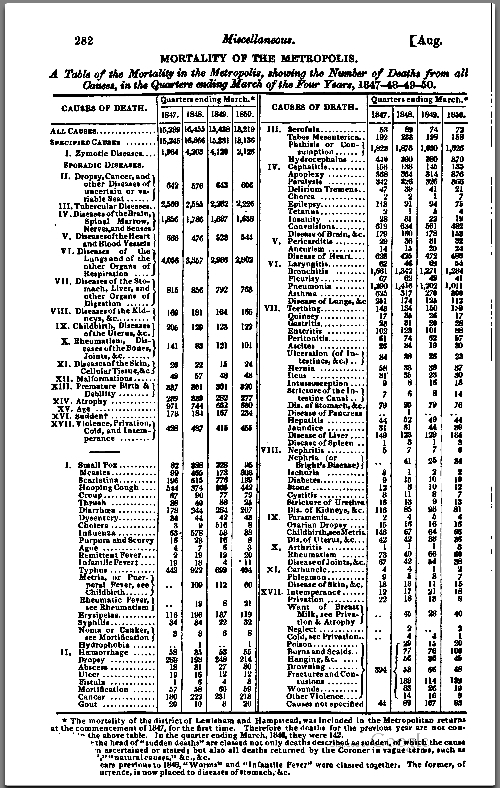 Some of these diseases (cholera, typhus) have been mainly eliminated by hygiene; a few (scarlatina – Scarlet Fever) by antibiotics; some (influenza) are still scourges, though not nearly as serious; and many, including most of the major killers of 1850, are history — or would have been history, if not for the valiant efforts of the anti-vaccine loons, who are trying to bring us back to the good old days when children routinely died of whooping cough, measles, and smallpox. That is amazing data — do you know if they have data around how many of these people were children? Who knows if those figures will convince anybody, but I suspect most of these victims were probably children and what better way to fight the anti-vaccine loons than to point out that they kill babies? do you know if they have data around how many of these people were children? I think the data are there, but it’s hard reading, and I haven’t put them together yet. I’ll probably get to it some time.